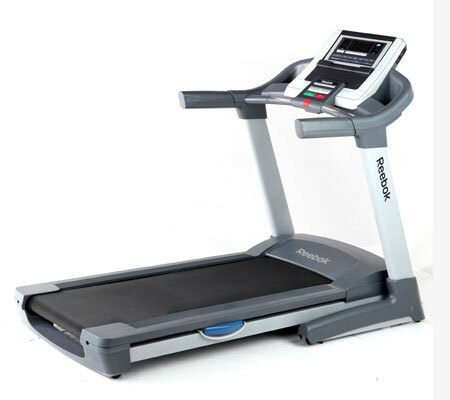 The Reebok Competitor RT 8.0 Treadmill is an exceptionally strong and powerful treadmill that is beautifully handcrafted by Reebok. It is actually one of the best treadmills that came from Reebok in a long time. If budget is not an issue, then there’s no reason why you shouldn’t buy this treadmill. Equipped with essential work out features, you will definitely get the results you have always wanted. Take note, however, that you may need to spend about $1300 (and for a Reebok entry level treadmill, that is quite expensive) to experience the perfect cardio work out it provides. More than comfort, the treadmill allows you to monitor your work out progress. With the Dual-Grip AccuRate™ Heart Rate Monitor, you will be able to get an accurate heart rate reading through the built in sensors on the handlebars. Moreover, the Grafixx™ display will show you important exercise information that you need to know, including your speed, pace, incline, time, distance, pulse and calories burned. The iFit Live™ Technology feature of this treadmill will help you develop smart workouts that bring quick results. Not only it is built with automatic incline controls and speed adjustments, you also get to try workouts Powered by Google Maps and experience training with Jillian Michaels. Note, however, that to experience this one-of-a-kind wireless technology, you need to have the iFit Live™ wireless adapter (which is sold separately). Other winning features that make it definitely worth the cost are the 34 built-in workout programs, the Intermix Acoustics™ 3.0 sound system, a compatible Music Port for iPod®, convenient QuickStep™ speed and incline controls, and an extra-long 20" x 60" tread belt. If you really opt for a high-quality, sturdy, and long-lasting machine that will help you get the results you need – not to mention, comfortably and conveniently – do not get discouraged by the price. Yes, it might be pricey, but it’s all worth it considering the loads of advanced features and quality that it is equipped with. If you’re not in a rush to buy, wait for the Reebok Competitor RT 8.0 treadmill to be offered on sale. Its original price is at $1299 if you buy through Reebokfitness.com, but you can get it below $900 during sale at Costco. And for that price it is a great bargain. If you plan on buying a Reebok Competitor RT 8.0 Treadmill, I suggest you buy from Amazon. They usually sell this for $1,299.